New book, “The Essential Guide to Buying and Selling Luxury Real Estate: Insights from America’s Top Luxury Agents” hit Amazon’s Best Seller List soon after publication. Joshua Baris is one of ten authors that contributed to the book. 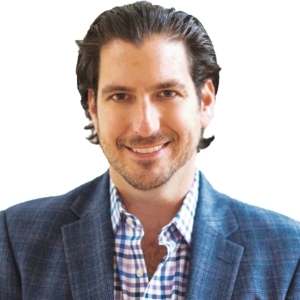 Joshua Baris, northern New Jersey real estate agent, became an Amazon Best Selling Author with his contribution to the new book, “The Essential Guide to Buying and Selling Luxury Real Estate: Insights from America’s Top Luxury Agents.” Amazon listed the book at Number 1 in the “Real Estate Sales” category. Amazon also listed the book as the Number 1 Hot New Release in multiple categories. Baris, along with nine other top luxury real estate agents around the United States contributed chapters to the book. The book provides insights to consumers that are interested in buying or selling a luxury residence. Sellers will learn the most important factors for selling their luxury home at the highest price in the shortest time. Topics covered include preparation for sale, determining market value, exposing and marketing the home to the most potential buyers, optimal timing, and negotiations. Buyers will learn how to get prepared for a luxury home purchase, find the ideal home, determine a fair price, negotiate the best deal, and make sure they understand what they are buying in the due diligence period. Buyers and sellers will also learn how to select the best real estate professional to navigate all through the luxury property purchase or sale process. In his chapter, Baris reveals the most important considerations relating to selling or buying a luxury home in northern New Jersey. “The Essential Guide to Buying and Selling Luxury Real Estate: Insights from America’s Top Luxury Agents” is currently available in an eBook edition at https://www.amazon.com/dp/B07H6GM764. The paperback version will be available soon on Amazon and from other booksellers. Joshua Baris is a top luxury real estate agent with the Global Luxury Division of Coldwell Banker and is also the founder and owner of NJLux. He has continuously ranked in the Top 1% of licensed New Jersey real estate agents and for the third consecutive year named as one of “THE THOUSAND” by Real Trends and “The Wall Street Journal” as one of the Top 1000 Real Estate Professionals in the United States. Baris focuses his real estate practice selling luxury estates and luxury condos throughout northern New Jersey. He is frequently interviewed in the news media for his New Jersey real estate knowledge.